Maud Howe Elliott was an American author and the daughter of Julia Ward Howe. A close friend of Frances Glessner, she was frequently a guest in her homes both in Chicago and in New Hampshire. In this article, we will reflect back upon a series of lectures given by Elliott in Chicago exactly 125 years ago. Maud Howe was born on November 9, 1854 in Boston, Massachusetts. Her father, Dr. Samuel Gridley Howe, was the founder and director of the Perkins School for the Blind in Boston. 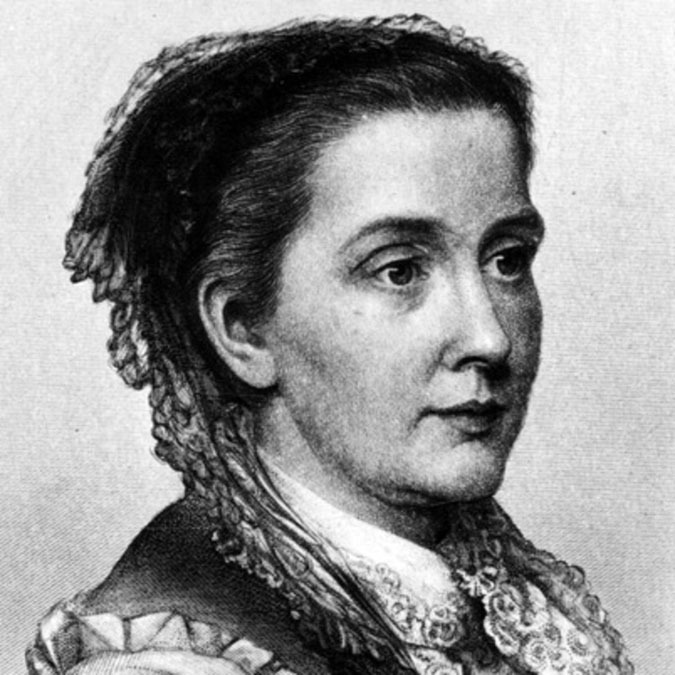 Her mother, Julia Ward Howe, was an abolitionist, suffragist, and poet, best remembered today as the author of the “Battle Hymn of the Republic.” She was privately educated by her mother in the United States in Europe; her mentors included Ralph Waldo Emerson and Henry Wadsworth Longfellow. In 1887, Maud Howe married the English artist John Elliott. “A home sicker pair than John Elliott and his wife, rarely sat down to a boarding house dinner! And we were homesick not for Boston but for Prairie Avenue! . . . I shall see you tomorrow. Goodbye, blessed saint of hospitality. Your good offices to us, are written in the record book of our hearts and will not be forgotten, while our memories are intact. Prairie Avenue, circa 1890 (photo by George Glessner); the Schwartz (1919) and Kellogg (1923) homes are at far right. It has been very hard for me to ‘wait until after the Vanderbilt party,’ as was agreed between us! I have wanted continually to write you to let my words follow my thoughts back to the beloved Rocks, and the encircling hills blue and mysterious, they haunt my memory, they and the song of the hermit thrush, the genius of the place. The Elliotts lived in Chicago for a time and then in Italy for a number of years before permanently settling in Newport in 1910. In 1918, the Elliotts purchased a mansion at 150 Rhode Island Avenue in Newport which she called “Lilliput.” She continued her writing here, eventually publishing twenty books. The best known of her works,The Life of Julia Ward Howe, co-authored by her sisters Laura Richards and Florence Hall, earned them the first Pulitzer Prize for biography in 1917. Maud Howe Elliott was a patron of the arts, and was the founder of the Newport Art Association organized in 1912 for “the cultivation of artistic endeavor and interest amongst the citizens of Newport.” The organization purchased the John N. A. Griswold House on Bellevue Avenue in 1915 (a National Historic Landmark designed by Richard Morris Hunt and completed in 1864); it continues to serve as the home of the Newport Art Museum. Maud Howe Elliott’s portrait (shown at the top of this article) hangs over the fireplace in the library. She served as secretary of the Association for thirty years. John Elliott died in 1925. Maud Howe Elliott continued writing, publishing her final book, This Was My Newport, in 1944, when she was ninety years old. She died on March 19, 1948 and was interred at Mt. Auburn Cemetery in Cambridge, Massachusetts alongside her husband and parents. Her papers were given to Brown University, which had awarded her an honorary doctorate in 1940. For more information on the Newport Art Museum, visit newportartmuseum.org.